NorthStar Blue+ Series – PSOC Compatible Batteries recharge faster than standard AGM batteries for high performance and long life in cyclic applications. If the on-grid power to your facility is unreliable, with frequent power outages, the frequent recharging resulting from these outages will severely shorten battery life. And to minimize the impact of outages or the use of diesel generators, it is crucial to recharge batteries as quickly as possible. At the same time, the cyclability of the battery needs to be exceptional to respond to the high number of charging cycles. 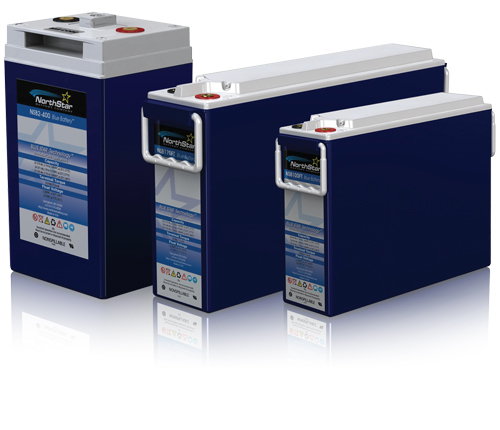 The NorthStar Blue+ Series is an update of the Blue Battery® with improved electrochemistry to deliver more power, high cycling and fast recharge. Since you never know when the next outage will be, the Blue+ Series Battery is ideal for unstable grid and off grid applications.